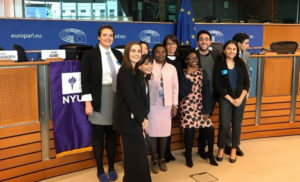 NYU students and faculty preparing just before the conference in the European Parliament. 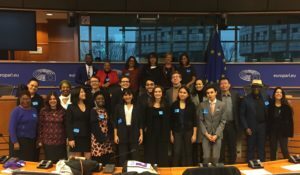 9 November, 2017 was not a typical day for the European Parliament. That day, the Parliament’s Anti-Racism and Diversity Intergroup hosted NYU’s third conference on Race, Racism, and Xenophobia in a Global Context. 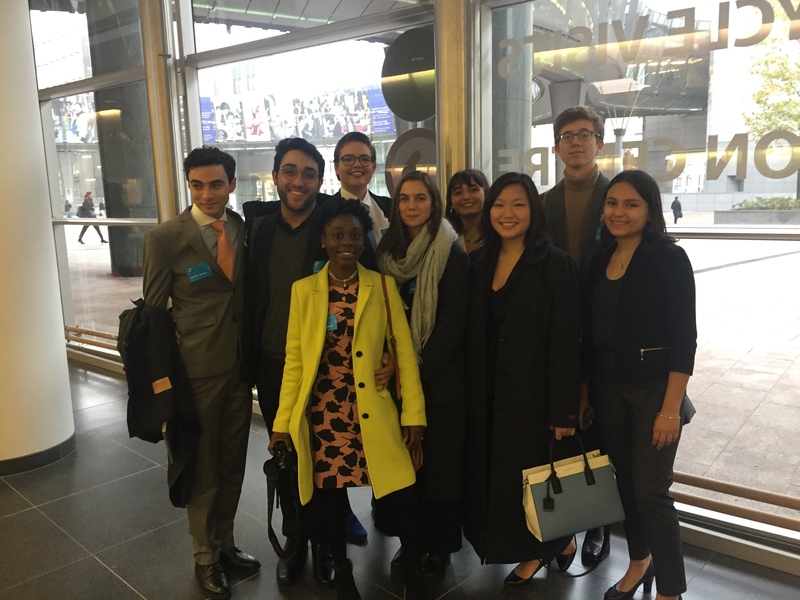 Members of Parliament and the public heard from NYU faculty and students considering these issues through scholarly discussion and artistic expression. This conference grew out of NYU’s unique willingness to allow students to grapple with the complicated issues they confront when studying away. The first conference, structured as an All-Campus Teach-In at NYU Florence on March 24, 2016, was developed by a student committee convened by NYU Florence Director Ellyn Toscano. As students observed the ongoing debate about “European identity” and migration, racism and Islamophobia, and as they also saw increasingly public racial violence in the US and student protests in response, they wanted to consider theses issues in a meaningful and informative way. Excited or Nervous? Students arriving at the European Parliament. Asking those questions lead to a continuing dialogue and a second conference in New York on October 28, 2016. A diverse group of students has been involved in all three conferences, starting as freshman and sophomores in Florence, they presented and performed in Brussels as juniors and seniors. The students introduced and moderated conference panels in addition to providing live performances – song, poetry, monologue. A short student film was also shown. With faculty from both New York and Florence present, it was, according to NYU’s Senior Vice President for University Relations and Public Affairs Lynne Brown, a “unique opportunity to showcase students and faculty” which is at the core of NYU’s mission. MEP Kyenge and NYU open the conference. 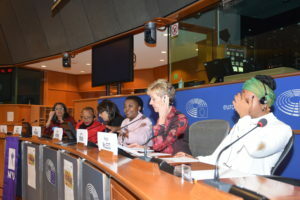 The students with MEP Kyenge. A live stream video of the Brussels conference is available here. This entry was posted in Faculty, Florence, Students. Bookmark the permalink.